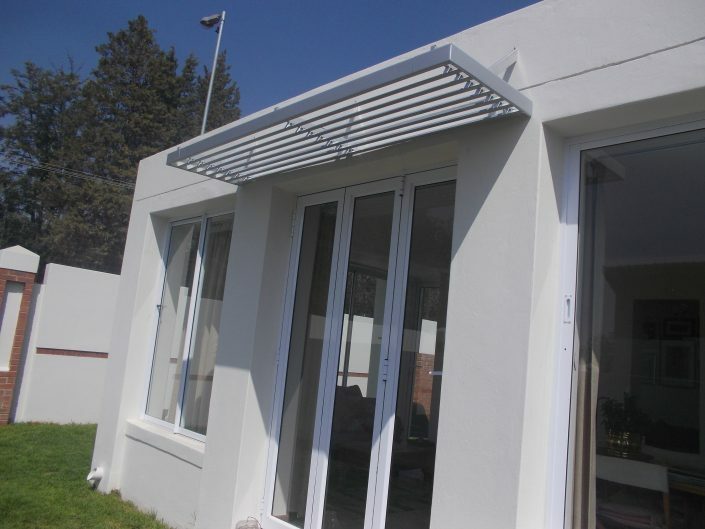 Specially designed to reduce heat and diffuse glare, the lightweight roll formed all-aluminium louvre systems are coated with the Colour-Tech G4 paint system for the greatest possible resistance to all climatic conditions, and as such are guaranteed for a full ten years. 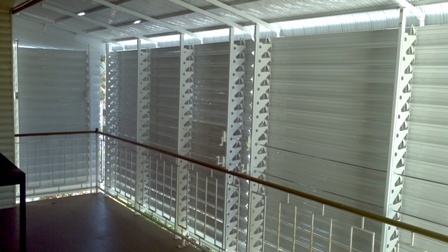 Sun louvres reduce the load on air-conditioning without impending fresh air flow and only minimal light reduction is encountered. 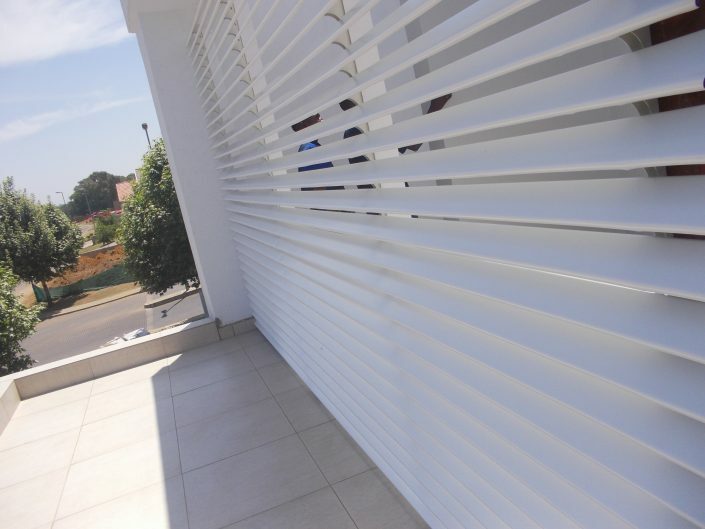 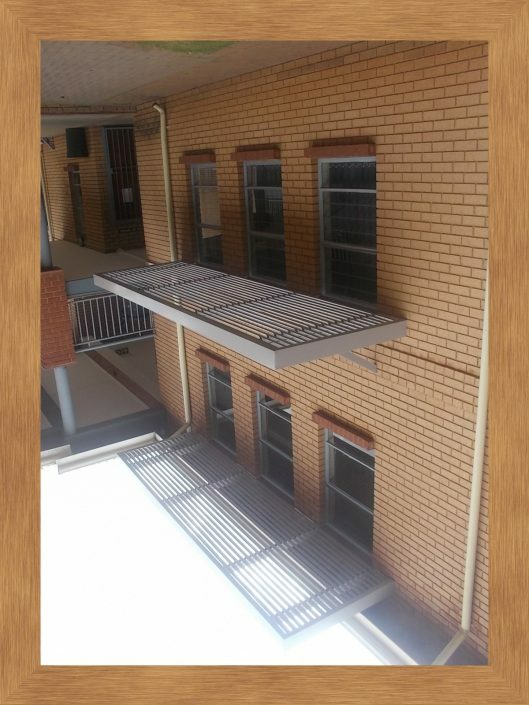 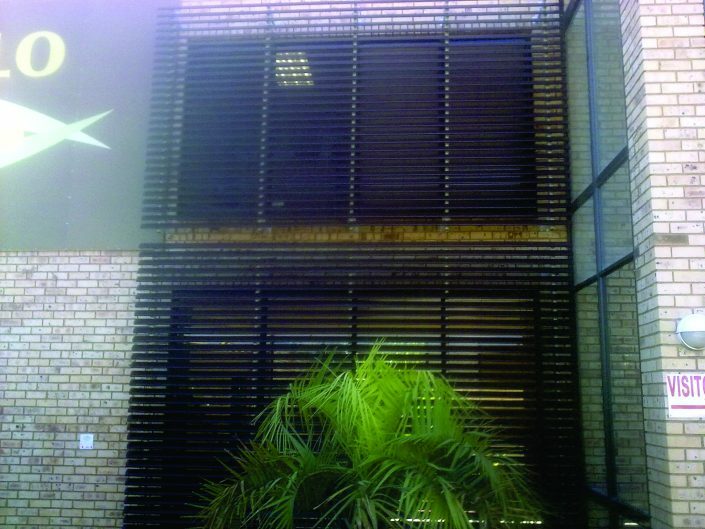 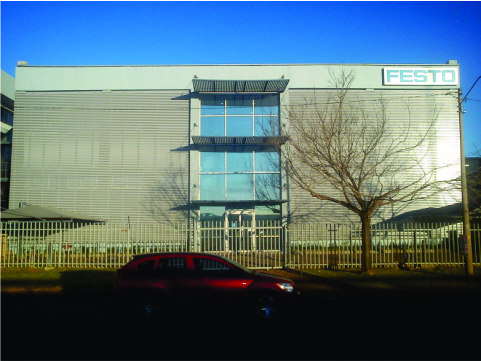 The aesthetically pleasing screens are locally manufactured and are supported by a full technical design and advisory service Requiring very low maintenance and available in a wide range of exceptionally colour-fast colours, sun louvres are available in either bold or light profiles in varying lengths, to suit all windows, architectural styles and sun conditions. 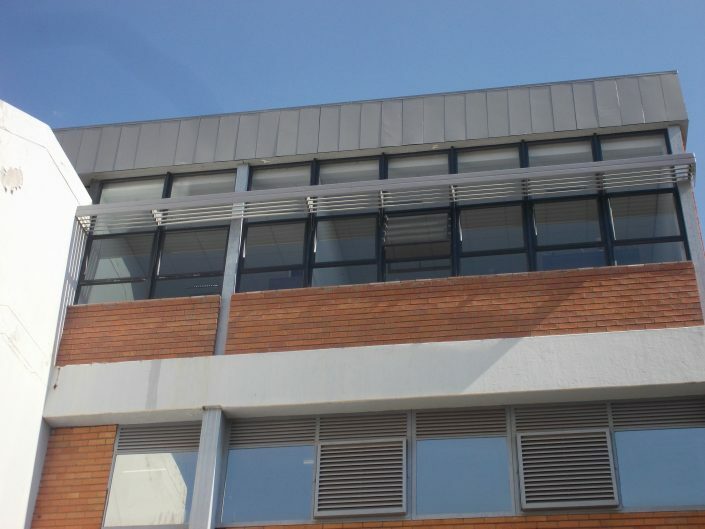 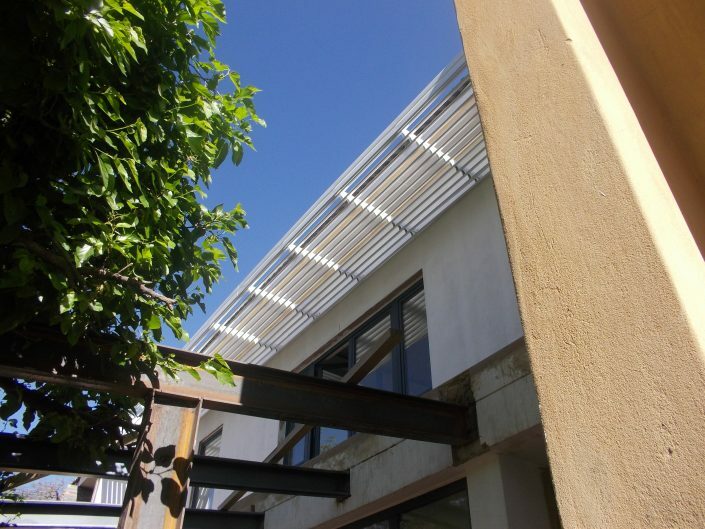 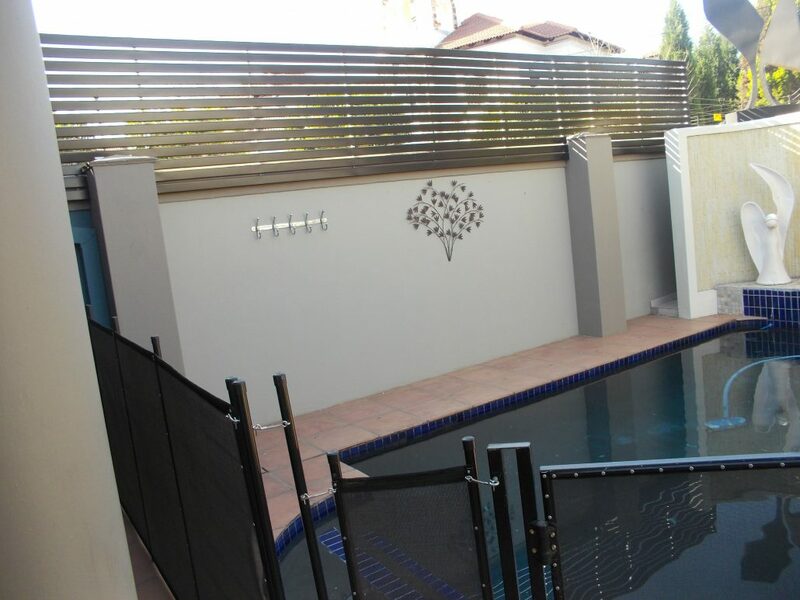 The 70 Z Sun Louvre panels are fixed to purpose made extruded aluminium brackets without the use of any fasteners and designed to permit expansion and contraction. 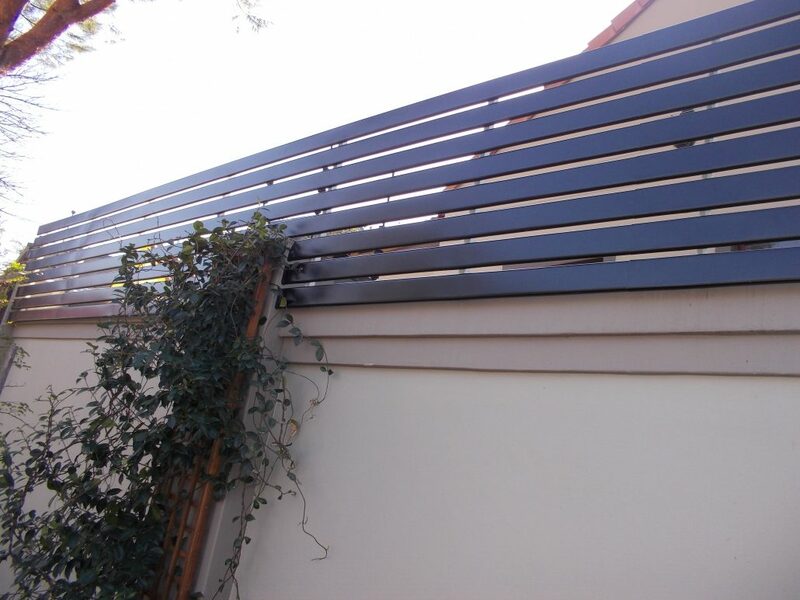 The panels come in a range of colours. 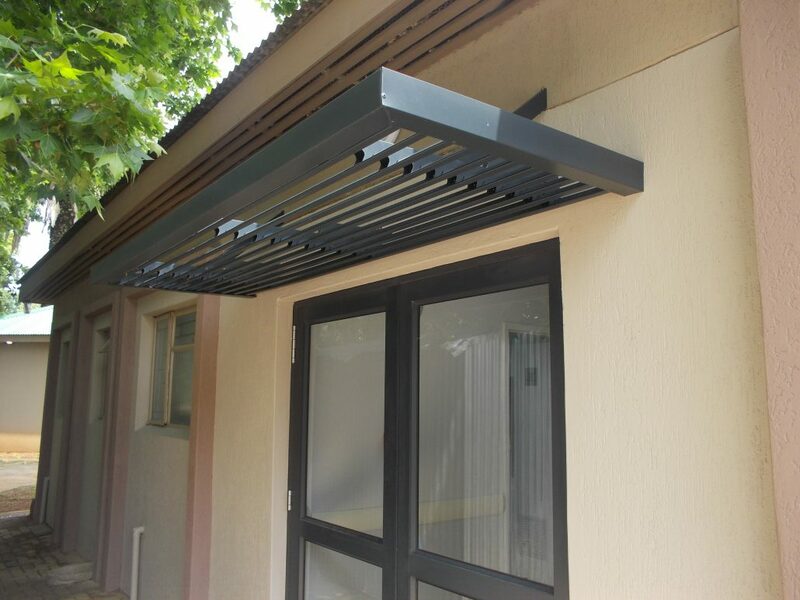 They can be fitted vertically or horizontally. 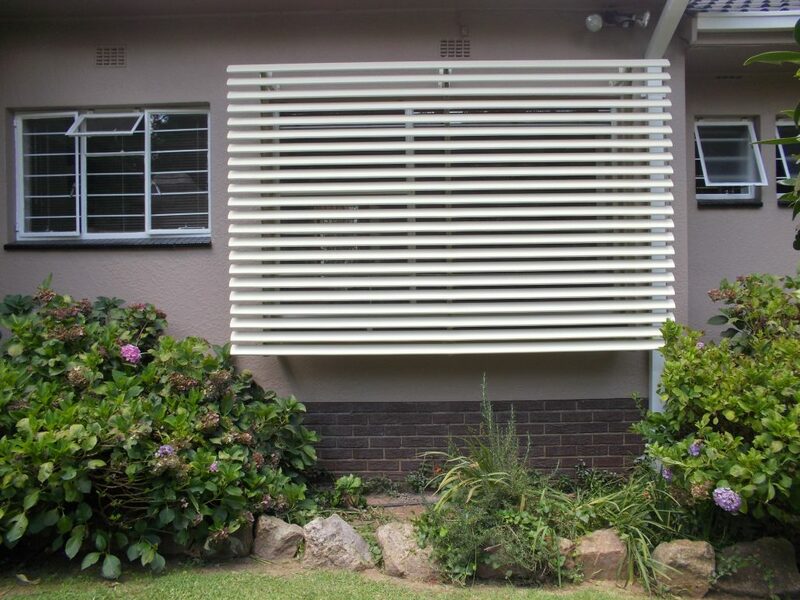 Horizontal screens with a projection of approximately half the depth of the window offer excellent protection when placed on a north facing elevation. 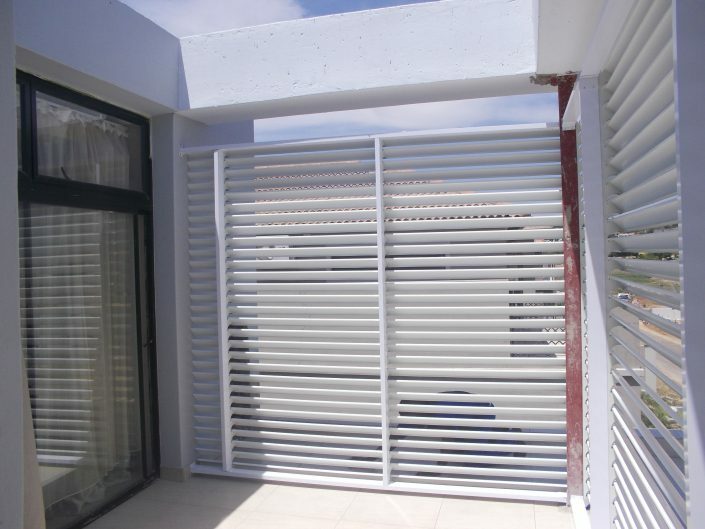 Because of the open construction of the sun screens there is no interruption to the natural air flow. 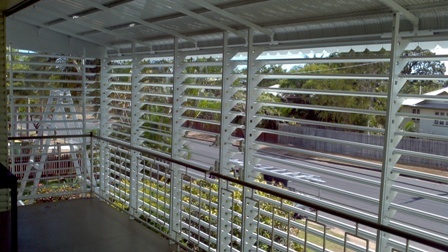 Vertical sun screens provide protection regardless of the elevation. 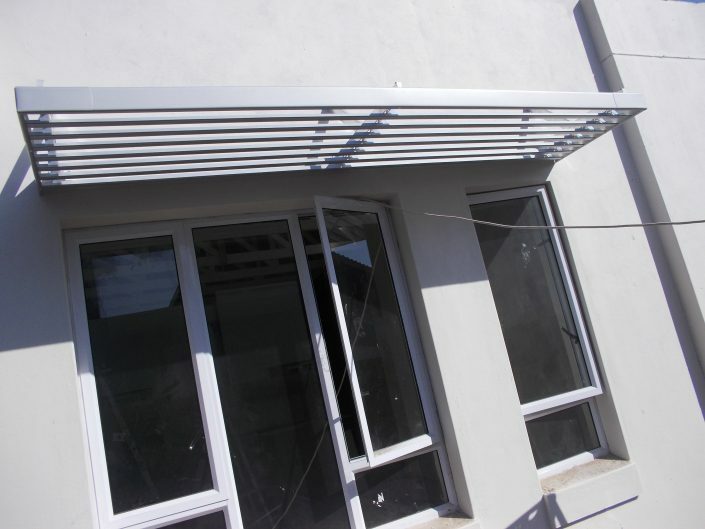 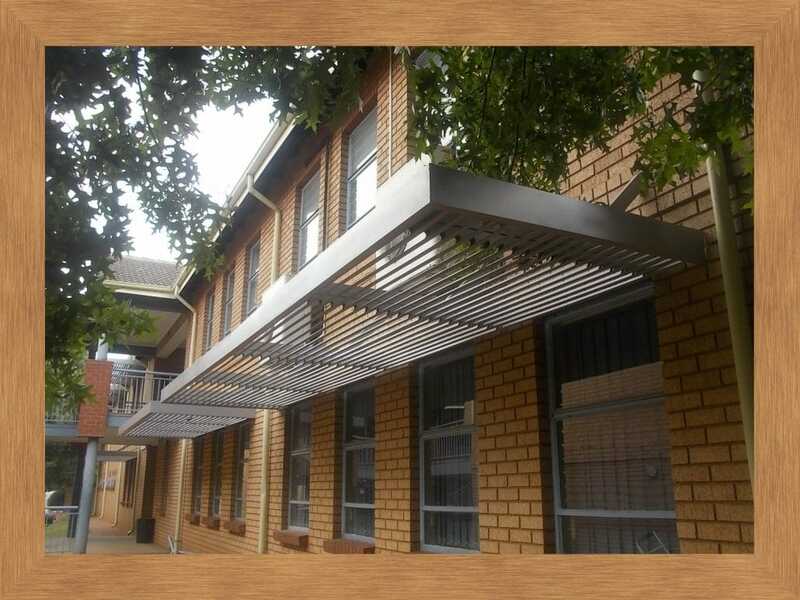 The whole façade can be screened to conceal air conditioners, piping and other services.